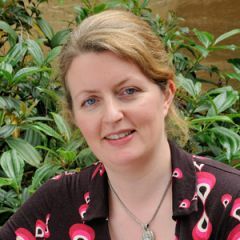 The Refugee Studies Centre is delighted to announce that Dr Cathryn Costello, Andrew W Mellon Associate Professor in International Human Rights and Refugee Law, has been appointed as a part-time visiting Professor at the Norwegian Centre for Human Rights at the Faculty of Law, University of Oslo. The appointment is to enable Cathryn to collaborate with Professor Maja Janmyr, Professor in International Migration Law. Professor Janmyr is author of the book Protecting Civilians in Refugee Camps: Unwilling and Unable States, UNHCR and International Responsibility (2014). Her current research focuses on refugee rights in the Middle East, with a particular emphasis on the situation of Syrian and Sudanese refugees and migrants in Lebanon. She is on the Advisory Board of Dr Costello’s RefMig project, and they plan further collaboration on refugee protection in states that have not ratified the 1951 Refugee Convention. The Refugee Studies Centre is pleased to support Dr Costello’s visiting role at the Norwegian Centre for Human Rights, in order to enable greater collaboration between the two institutions. At this critical time for the global refugee regime, Cathryn and Maja aim to develop a research agenda to address crucial legal and ethical questions around protection standards in the countries where most refugees live, as well as in Europe.